Ten years ago, on July 9, 2005, groups from Palestinian civil society issued a call to boycott, divest from, and sanction Israel until it respected Palestinian human rights. What became known as the BDS movement was born. A decade later, what was thought of as a marginal movement is being described as a strategic threat to Israel, second only to a potential Iranian nuclear weapon; and it has presidential hopefuls for 2016 responding to it as well. How did we get here in just ten years? Why was BDS able to grow and succeed as a movement? There are several reasons that both explain BDS’s growth and suggest it will continue to grow and advance in coming years. It is nonviolent. BDS asks people to fight with advocacy and their wallets, not with guns. Israel, which is well-equipped to fend off armed threats, is ill-equipped to deal with this. By characterizing BDS in the same terms as it characterizes militarized threats, Israel and its leaders seem increasingly unhinged and unreasonable. As an Israeli major general said regarding Israel’s handling of nonviolent protest in the West Bank, Israel “does not do Gandhi very well.” Israel’s failed attempts to coherently and convincingly respond to a nonviolent, rights-based movement only add to the movement’s momentum. Israel may be able to convince people that militant groups like Hamas are hellbent on destroying Israel, but that is a much tougher sell when we are talking about organizers—young and old—voting to divest from corporations that profit from occupation at church conventions or protesters seeking to take SodaStream products off store shelves. A decade after its founding, BDS has gone from a marginal movement to being described as a strategic threat to Israel. It represents the concerns of all Palestinian stakeholders. Unlike other recent Palestinian movements that have had to deemphasize certain stakeholders in the outcome of the Palestinian national question like Palestinian citizens of Israel and Palestinian refugees, the BDS movement’s three pillars place the rights of all Palestinian stakeholders on equal footing. The traditional Palestinian leadership, which had accepted the Oslo process, will likely never admit to forgoing the interests of Palestinian refugees and Palestinian citizens of Israel, but the Oslo process undoubtedly compromised the interests of those two groups. BDS, which remains laser-focused on rights, does not have to worry about threats to the legitimacy of the movement emerging from dangerous and unjust compromises. Recent public opinion polling among Palestinians shows that support for boycott efforts against Israel (86 percent) is greater than the support for Fatah, Hamas, and all other political parties combined. It is decentralized.­ The BDS movement is based on a set of principles and tactics and operates largely among global civil society. No one person runs the movement, and anyone can engage in BDS activity. A community in North Carolina, Egypt, Malaysia, or Scotland can independently and spontaneously start a BDS initiative to address their own community’s complicity in Israel’s abuses of Palestinian rights. The decentralized nature of the movement makes it far more difficult to anticipate and to repress. It gives concerned people a plan of action. People around the world who are concerned about the rights of Palestinians have often wanted to do something to change the situation, but found few ways to do that. BDS offers an answer. In the United States in the past, countless legislative advocacy efforts have been made on Capitol Hill, which is as occupied by Israeli interests as a hilltop in the West Bank. People grew tired of banging their heads against the wall that is Congress. Grassroots fervor never dissipated, however, and instead took off in the direction of BDS organizing. But interestingly enough, these BDS efforts have contributed to a shift in US public opinion, particularly among progressives, which is laying the foundation for reengaging Congress in the future. Its reason for being still exists and is getting more urgent. This is perhaps the most important driver behind the BDS movement’s growth and success. BDS exists as a response to Israel’s abuses of Palestinian rights, and with an occupation as entrenched today as ever before now nearing its 50th year and a right-wing government insisting on continuing it, more and more people are realizing that BDS is the only worthwhile place to invest their energy and activism. When the “peace process” was dominating action, even as it became a parody of itself over the years, many argued that the process should be allowed to play out. But now even this is gone, and all that remains is de facto apartheid, necessitating pressure on Israel to bring it down. Of course, this means Israel truly has in its grasp the single most important weapon it can use to bring an end to the BDS movement—it can take away the movement’s raison d’être by choosing to end its abuses of Palestinian rights. But this would require bold, honest, and visionary Israeli leadership, something very different from what exists today. 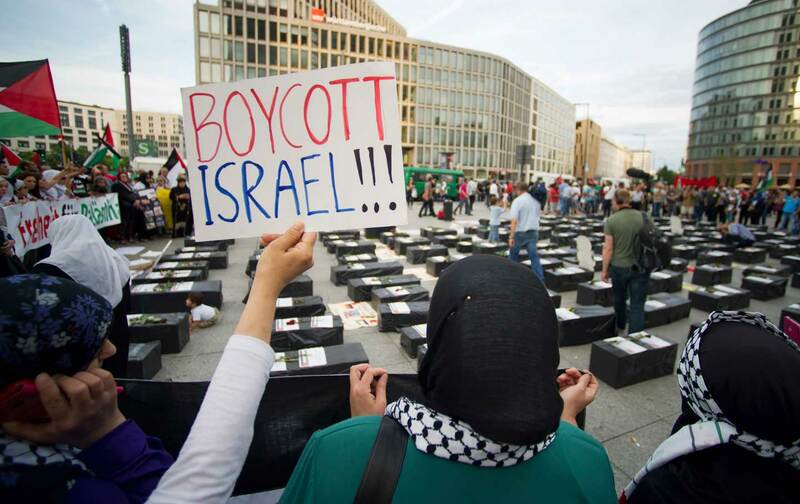 For all these reasons, the BDS movement has grown by leaps and bounds over the past ten years and is set to continue on this pattern in its second decade.